Your local basketball hoop installer for Naperville and the Greater Chicago Area. Mailbox Remedies has completed more than 50 in ground basketball hoop installations in the Greater Chicago Area. 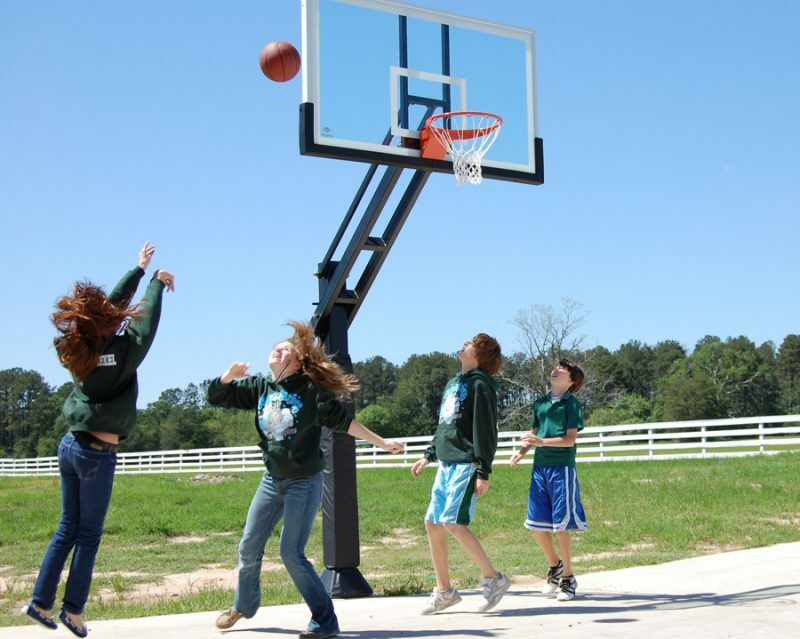 Setting up your basketball hoop installation and assembly service is simple. Just send us the details which should include the brand and model number of your new basketball hoop system. You can use our contact us form to complete this process. We believe in safety. Your children will be playing on your basketball hoop system. Therefore, the system must be installed correctly. Mailbox Remedies has reinstalled many basketball hoop systems that were not properly installed the first time. We follow the directions and we do not take short cuts. You can be confident that your basketball hoop will be installed to last and most importantly it will remain stable and safe for your children. In-ground Basketball Hoop Installation with Assembly is a 2 part project. Part one includes the ground work which includes putting a cement foundation slab in the ground to support the basketball pole. This requires a 3-4 ft hole to be dug out, approximately 20” x 20” in square measurement. Next the concrete work must be completed. This process calls for 900 to 2000 lbs of concrete for the slab. That’s a lot of concrete and probably why you are considering this service. Part 2 starts about 36 hours later and includes the assembly of the pole and attachment to the foundation. Following includes the assembly and attachment of the goal. Installation price will vary pending the size of the hole required, amount of cement and the size of the backboard. Each brand has specific directions for each model and they must be followed. Basketball Hoop Installation starts at $400.00 including labor and materials. Mailbox Remedies wants your business. We can input just about anything into our website to make you feel good about hiring us. Don’t just take our word for it. Back your decision by seeing what our customers say. You will be glad you did.